More than ten years ago, wireless transmission technologies for input devices gained a lot of popularity. More mobility and no more annoying cable clutter were promised. But omitting the connector cable yields not only benefits, there is also a drawback to consider. Especially in the earlier times, there were quite some connection troubles. Inputs couldn’t be recognized or were only received with a distinctive delay. 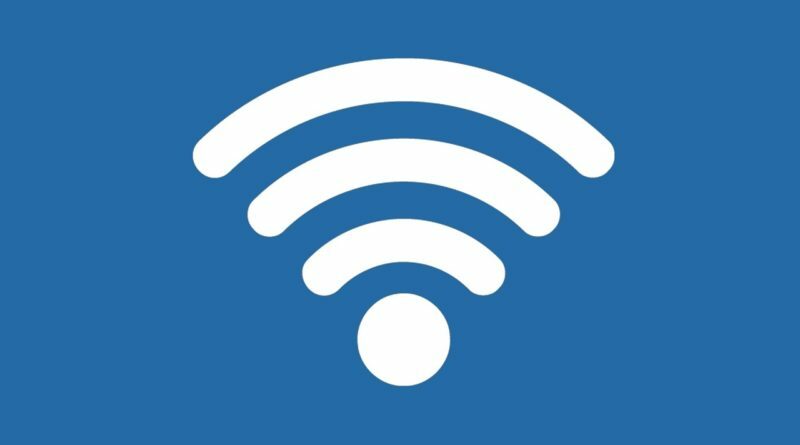 If multiple wireless device were used in a single household, inferences and complications between the devices often occurred. Since the connector cable is not only responsible for transmitting data, but also handles the electricity supply, wireless keyboards need their own power source. Batteries, which need to be changed or recharged on a regular basis, are used. Nowadays, transmission problems and conflicts with multiple wireless devices belong to a large extent to the past as the technology has matured over years. 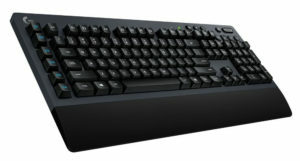 Consequently, there are a lot of wireless membrane keyboards available today, almost every brand offers multiple models. You can easily buy a package of a wireless keyboard and mouse for as low as 20 or 30 Dollar. Looking at mechanical keyboards, the situation is completely different though. Until recently, you had to rely on rather a few small brands to get a wireless mechanical keyboard. None of the big players sold any wireless mechanical keyboards. The presumptive reason for it is, that wireless devices have a higher latency. Buyers of mechanical keyboards usually demand higher standards of their input devices than the casual user. Any input must be recognized reliably and immediately from the computer. Satisfying these requirements can be challenging, most companies probably weren’t confident enough to do so until lately. Logitech released their first wireless mechanical keyboard last August. In January 2018, Corsair followed their steps and introduced a wireless version of the K63. So far, these two companies are the first two major producers of mechanical keyboards going for a wireless option. But looking forward, it wouldn’t be surprising to see a lot more manufacturers selling wireless mechanical keyboards in 2018 and 2019. The Logitech G613 and the Corsair K63 Wireless are both cordless mechanical keyboards, but they differ in a lot of aspects. Which model is better? There is of course no general answer, but here is an outline of the most important differences between those two. The probably most eye-catching difference between the Logitech G613 and the Corsair K63 Wireless is the size disparity. The G613 is a full-sized keyboard with numpad and six additional macro keys on the left. It has a width of 18.8 inches and a weight of 3.1 pounds. The Corsair K63 Wireless on the other hand is only about 15.5 inches wide and 2.4 pounds heavy, as it has neither a numpad nor dedicated macro keys. Both keyboards feature dedicated media controls and a palm rest. Only the palm rest of the Corsair K63 Wireless is detachable though. Furthermore, the keyboards differentiate in terms of switch characteristics. The Corsair K63 features linear Cherry MX Red switches with blue LEDs. Logitech on the other hand use the tactile Romer-G switches and doesn’t offer any illumination options. The Corsair K63 Wireless has an integrated battery which gets charged every time you connect the keyboard via USB cable. The battery life is of course heavily dependent on the lighting, the battery lasts up to 75 hours if illumination is turned off and up to 15 hours with normal brightness. The Logitech G613 keyboard has no integrated battery, instead it requires two AA batteries. The manufacturer estimates a service life of up to 18 months. For the keyboard’s wireless connection to the computer, Logitech is putting its faith in its proprietary lightspeed technology. The manufacturer promises a signal rate of 1 millisecond. Alternatively, you can also connect the G613 via Bluetooth or switch between Lightspeed and Bluetooth simultaneously. 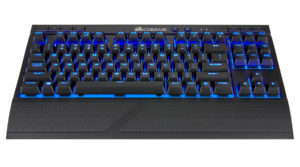 The Corsair K63 Wireless offers similar options: you can either connect the keyboard via 1ms 2.4 GHz Wireless or use the normal Bluetooth connection. Both keyboards offer fast and reliable transmission and can keep up with corded input devices. Consequently, there is nothing wrong with buying one of those two wireless mechanical keyboards. If you need an illumination, then the Corsair K63 Wireless is the obvious choice anyway. Thanks to the lower weight and smaller size, the keyboard is probably also the better choice, if you plan to play a lot from your couch or bed. The Logitech G613 is a bit less mobile and not illuminated, but it comes with a numpad, dedicated macro keys and longer battery life.